When you need glass in your commercial building repaired, call the commercial glass specialists at Glass Maxx. 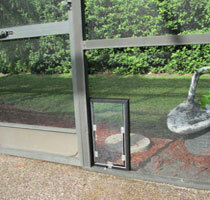 Our team of commercial glass installers can tackle any size job. We can work with you directly or alongside your project manager to ensure your new glass is ready to install on time and on budget. 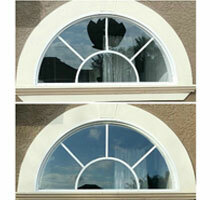 Call Glass Maxx at 813-777-7594 for all your commercial glass repair needs! 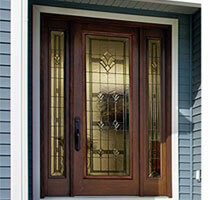 A glass storefront is a great way to welcome customers into your office or business. In fact, most customers will see your storefront or entryway before the inside of your building so why not use it to help make a lasting impression? Storefronts are an extremely functional way to give your business a more welcoming appearance by letting in natural light and exposing a glimpse of your building's interior to the public. Keep the face of your business looking its best with storefront glass repair from Glass Maxx. The glass in your storefront will inevitably sustain damage over time. As the number of small cracks and chips increases, your storefront will start to look worn and unkempt. Do not lose customers due to a drab storefront, call Glass Maxx at 813.777.7594 to revitalize your storefront windows with brand new custom-fit glass! Mirror installation and repair for businesses are often a much more involved process than replacing a bathroom or vanity mirror in a home. In most cases, the job will entail multiple surfaces at precise angles and could even encompass an entire wall. These demands may pose a challenge to some glass shops, but it is all in a day's work for the mirror experts at Glass Maxx! Our custom-cut mirror division is ready to tackle just about anything. When you need a replacement mirror or are planning to revamp your space, call Glass Maxx first at (813) 777-7594. All our mirror stock is certified Made in the USA. Restaurant Bathroom and Accent Mirrors - Restaurant owners make use of mirrors throughout the dining areas to diffuse light, add atmosphere, and give a sense of space. Glass Maxx does more than just mirrors. We can also fabricate a frame from just about any building material to match your decor perfectly. To ensure your mirrors stay put, ask about Glass Maxx's anti-theft installation methods. An Impressive Bar - Few design materials offer an impact to match mirrors. The simple installation of a mirror around your bar can have a huge impact on the atmosphere of your club, restaurant, or pub. Mirrored Walls - A mirrored wall is the finishing touch your customers expect in a dance studio, gym, or fitness center. For existing mirrored walls that need a facelift, Glass Maxx also offers mirror replacement services to give your dance or workout studio a fresh new look.